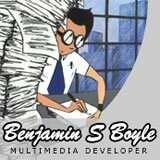 Welcome to the personal webspace of Ben Boyle. “inspire” was my nickname when I first stumbled around the Internet, and I’ve kept that name for this site. “Here down under, we have some of the wildest pokemon in the world, and we study them all! !” — Crocky, the pokemon hunter. Roffe nocked an arrow and sighted along it. In the distance, blended figures ran stealthily across her field of vision. As another broke cover, she shifted her aim forward, drew and loosed. The arrow hissed swiftly through the air. Read more. Why Croc Stays in his Swamp! Just who is Ben Boyle? Find out more by visiting my home page or resume.